The original version of this post was written for the Film and Television Institute in Perth, Western Australia a few years ago. It has since been updated and added to several times. In its current form it summarises the best and most accurate recipes and useful information currently available to Makeup Artists, to allow you to make your own Theatrical Bloods for Film, Tv or Stage. As a Makeup Artist, I am often asked about the best way to make a CHEAP, REALISTIC artificial BLOOD, that won’t stain, and can be made in bulk for film and theatre. The answer isn’t always what they want to hear, sadly, there is no such beast! 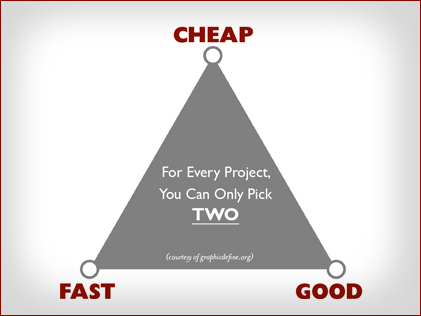 As always, the classic designers triangle applies here: Good, Fast and Cheap. Pick two….. This entry was posted on Thursday, August 16th, 2012 at 5:46 pm	and posted in Makeup FX, MAKEUP FX TECH. You can follow any responses to this entry through the RSS 2.0 feed. « So You Want To Be A Makeup FX Artist Pt 2: Breaking out and Breaking in…..